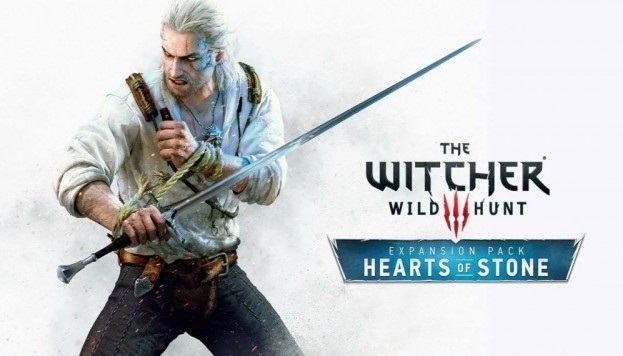 It's time to sharpen steel and silver sword back and saddle your trusty steed roach because the new expansion, Hearts of Stone, for The Witcher 3 is here and brings you around 10 hours of play on new adventures in Temeria. Here, the entry into the DLC takes place in different ways. Depending on whether you already have or don’t have a memory state. You reach to the Hearts of Stone for the first time in The Witcher 3? No problem! You are a real sorcerer veteran and already have a memory status? All the best! You want to start the DLC directly? That is also possible! Depending on which of these apply to you, you have the following job opportunities. - Select "Start from the Beginning / A Fresh Start": Start without the memory status prior to the main game of The Witcher 3, the first quest of Hearts of Stone will be added to your journal immediately after Prolog of the Base game. However, you should not tackle this before you have reached level 30. If you don’t want to wait that long, then take a look at the option in section 3. - Load The saved game: you are just right in the main game or are already in Endgame; "Evil's Soft First Touches" is added directly to your journal after you install the add-ons and load an existing saved game the first quest of DLC by name. Again, the minimum recommended level of 30 remains. - Select "Only Hearts of Stone": If you have no memory state, but want to start directly the add-on, you allow the game with a pre-made character with level 32 to start in the expansion. This already has necessary equipment and skills. Depending on which of the option you chose, your journal is the first quest. This sends you to the signpost at the tavern "The Seven cats" at the gates of Novigrad. There begins "Hearts of Stone". You recognize the quests of the expansion in the journal by the way also to the blue exclamation mark and the blue lettering of Hearts of Stone at the Quest. Then it goes into the new area. 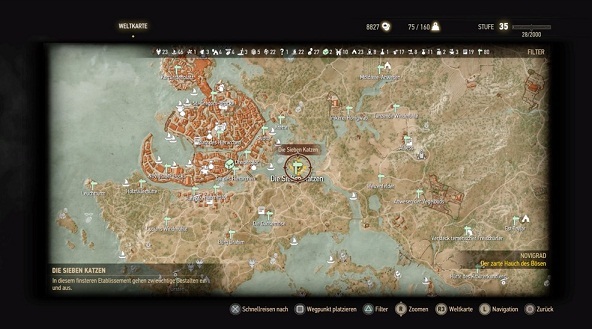 The map has been expanded accordingly for the DLC. North of Oxenfurt and east of Novigrad new villages and estates have been added. Here large sections of the add-ons for playing. 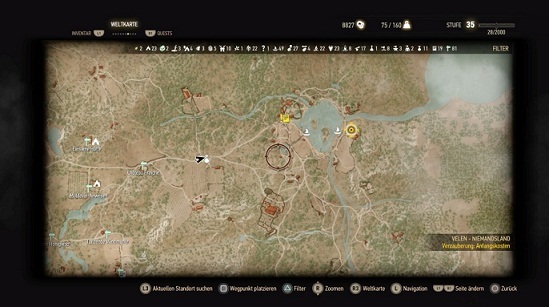 Here you can also re-new fast travel points to unlock. Your first side quest of the add-ons you get also on the signboard at the "Seven cats". This is called "Enchantment: initial cost" and takes you to Runesmith. This is a new artisan in the game, which is marked by a book icon on your world map and has a rich arcane knowledge to upgrade your equipment with runes and glyphs considerably.